Containers are a way to wrap up an application into its own isolated box. This isolation empowers Developers and IT Operations to collaborate effectively as they have clear boundaries of configuration and execution. Come learn how adopting a container workflow and lifecycle management empowers change and stability from the first release. As a developer, you’ll see testing your build pipeline, before you commit your code and how the build pipeline is used for OS & Framework patching during and after active development. 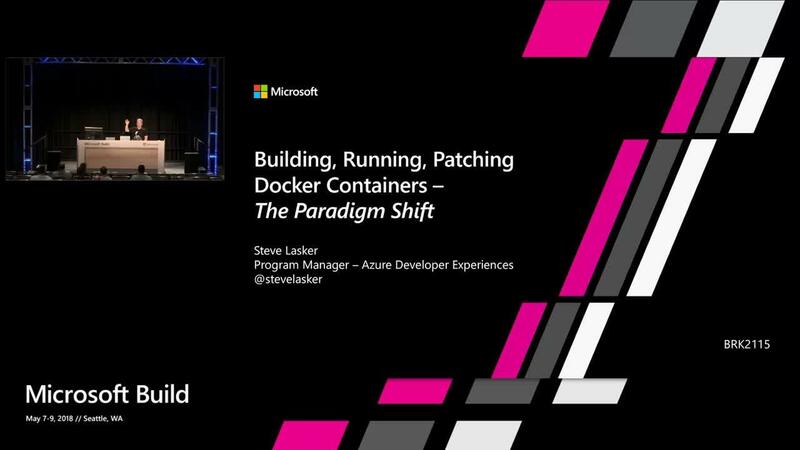 Come see how containers are a paradigm shift to a modern DevOps workflow, that will take some change, but empowers your company to new levels of collaboration. Also learn how to use Azure Container Registry (ACR) build to simplify container development and building by easily storing and managing container images for Azure deployments in a central registry.